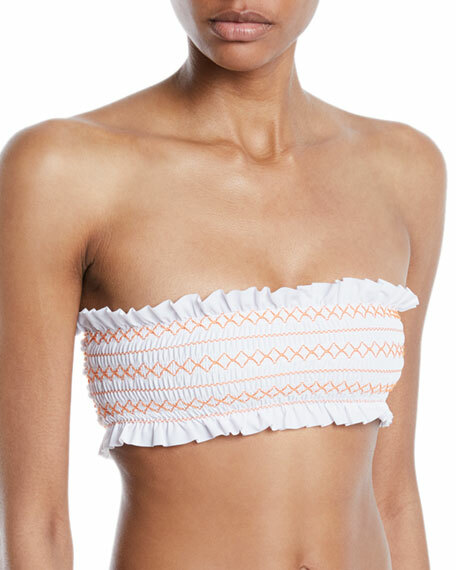 Tory Burch "Costa" smocked swim top with intricate topstitching. Four-way stretch and UPF 50 protection. For in-store inquiries, use sku #2526725.